Intended for the really serious film enthusiast. This is how it began. 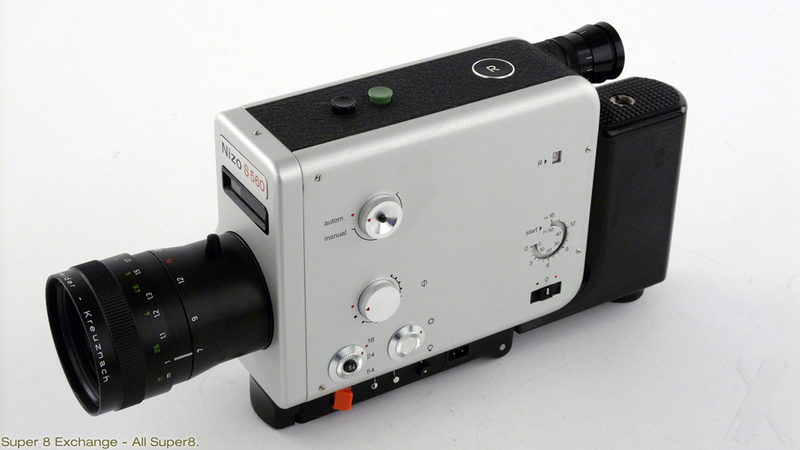 Nizo, the first European manufacturer that introduced a camera for the Super 8mm film gauge. The range has been diversified without departing from the fine basic styling of clean and functional lines in either slick silver or noble black. Now all you need is a little imagination. You need a camera which gives you a wider scope. And you have a choice of numerous models from the Nizo universal range, all equipped with Schneider lenses, a famous lens manufacturer. Nizo's tremendous technical expertise in movie equipment resulted in fully equipped cameras including a two-speed power zoom, good reflex viewfinder with split-image viewing, TTL metering with full manual override, variable sector fade shutter, automatic dissolves, time lapse shooting. All incorporated into a body built to the highest standards of instrument engineering. time lapse, fades, lap dissolve.